Salmon Wellington or Salmon en Croute, a gourmet dish with a festive touch. Take your dinner to the very next level, and impress your party guests this Christmas with this restaurant-style salmon recipe. There is no secret that I love salmon, fresh, frozen, smoked, in any possible combination, and at any time of the day. I seem to be the only one who can’t refuse a nice salmon dish, since my husaband and daughters can’t really share my love for anything salmon or fish in general. More for me I guess, although I still struggle to undertand what’s not to love about salmon. It’s the least “fishy” out of all the other type of fish, at least according to my taste buds. And it makes a posh dinner for any special occasion, be it Christmas dinner, or a romantic Valentine’s Day for two. 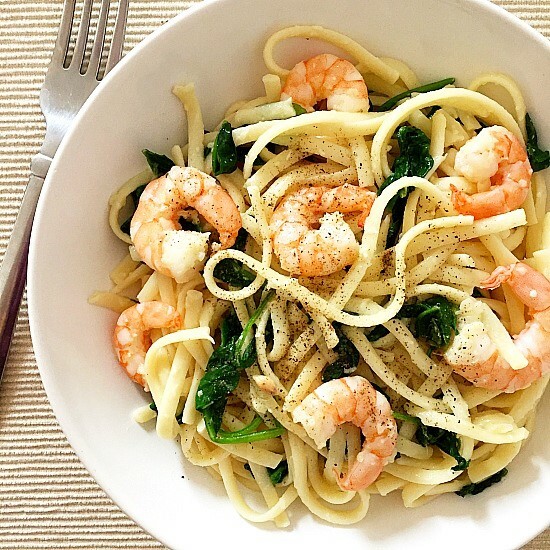 It might look complicated to make, but trust me, it’s one of the easiest dishes I’ve ever made. And I (almost) always go for quick and easy recipes. Fresh salmon can be pretty expensive, I give you that. 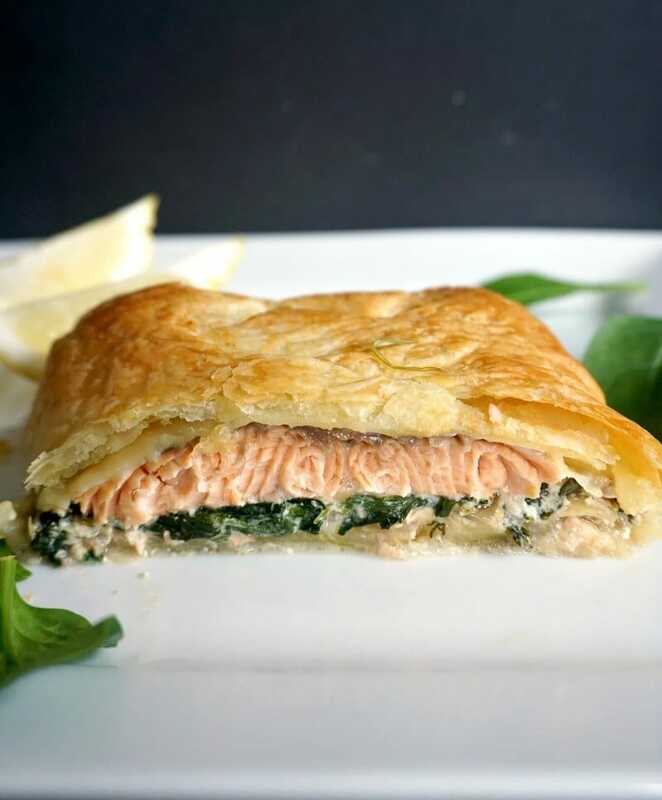 But trust me, once you have a bite of this lovely baked salmon in puff pastry, you will know your money was worth spending. So, what’s exactly a salmon wellington or salmon en croute? It’s actually a boneless, skinless salmon fillet topped with a cheesy spinach sauce, and wrapped into puff pastry, then baked until golden. 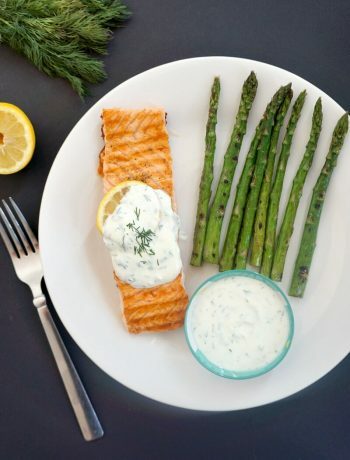 The salmon wellington sauce can be as simple, or as fancy as you like. I opted for the simple version, nothing too complicated, but the flavours were deep, and gave the dish a wonderful touch. 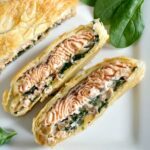 This recipe is fail-proof, there is hardly any room for mistakes, but there are a few tips perhaps to ensure you get the perfect salmon en croute every single time. 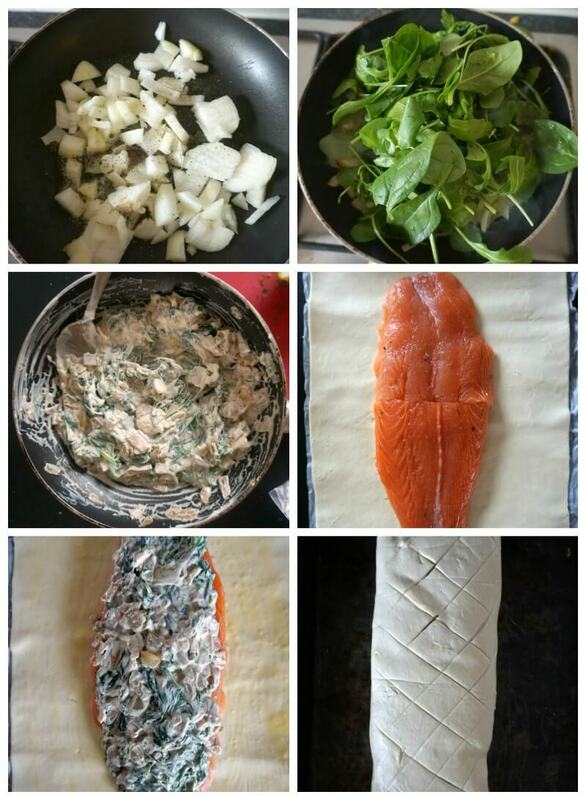 Make sure the sauce has cooled down before wrapping the salmon in the puff pastry, we want to avoid a soggy pastry. And it’s crucial to brush a bit of egg wash around the edges of the puff pastry, so it can seal propery before baking. Now, that’s pretty much all you have to worry about. I have not tried to make it with phyllo pastry, although I suspect it’s not a massive difference, just a pretty flaky texture. This dish can be safely frozen, just follow all the steps, but freeze it without baking. 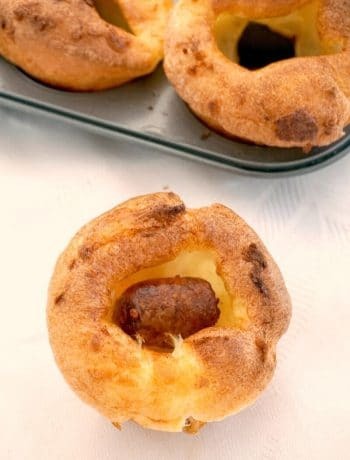 When you want to serve it, pop it in the oven from frozen, the baking time will be a bit longer, I suspect at least 10-15 minutes longer. But the texture and taste should not change in the slightest. You can make it ahead, and bake it just before you guests arrive, in this way you have a lovely freshly baked salmon wellington whenever you need it. Serve it with a nice salad on the side, and you are good to go. For more festive salmon dishes, how about my Homemade Smoked Salmon Pâté Appetizers, or some delicious Deviled Egg Potato Salad with Salmon? If you’ve tried my SALMON WELLINGTON or any other recipe on the blog then don’t forget to rate the recipe and let me know how you got on in the comments below, I love hearing from you! You can also FOLLOW ME on FACEBOOK, and PINTEREST to see more delicious food and what I’m getting up to. Peel and chop the onion, melt the butter in a pan, then sautee the onion until soft. Add the spinach, and stir well, until it wilts, season well with salt and pepper, and take off the heat. Leave to cool, then add the chopped dill, cream cheese, and lemon juice and mix well. 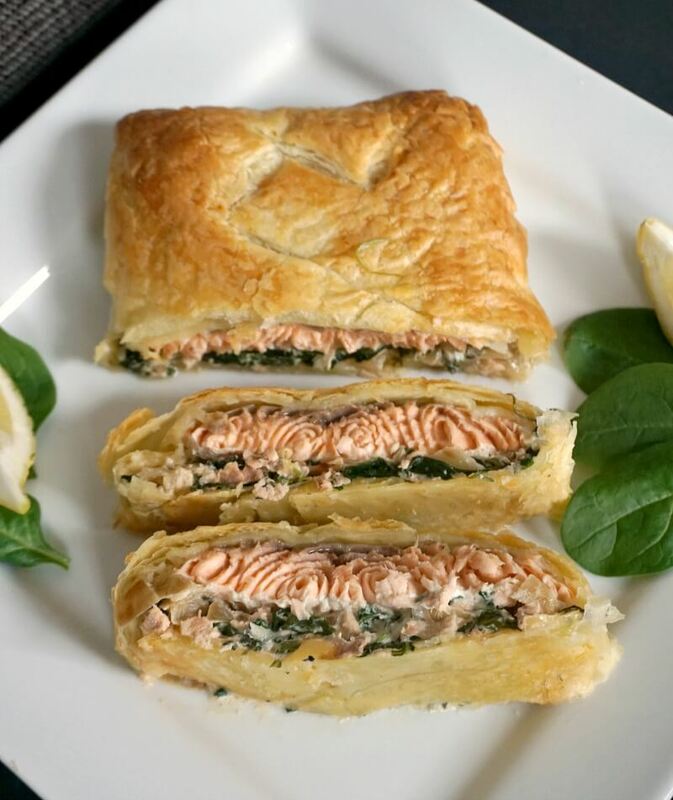 Beat the egg lightly, then arrange the salmon fillets on the puff pastry sheet, brushing the egg around the edges. 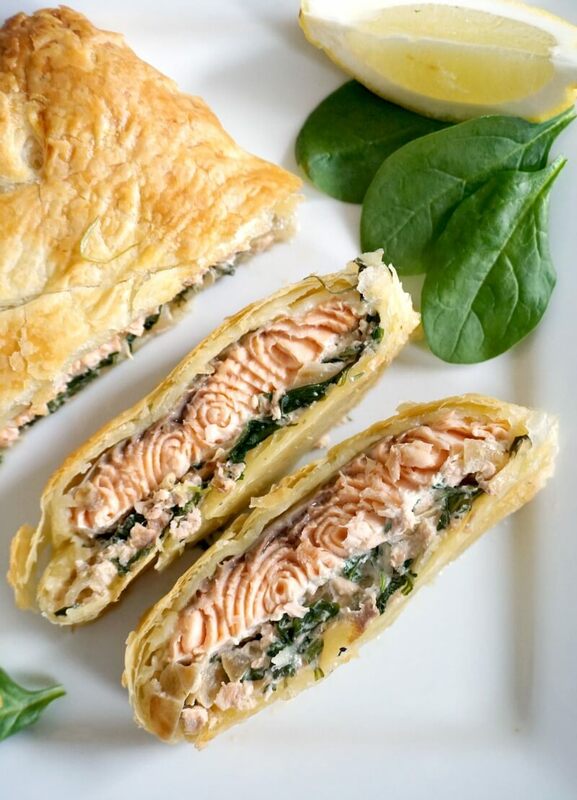 Top the salmon with the spianch sauce, wrap the puff pastry around the salmon fillets, brush with more egg on top, then bake in the oven for about 15 minutes or until golden.